Rain protection with a view. 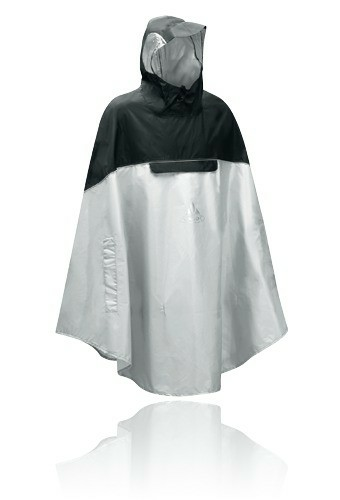 The reliable rain poncho is quickly pulled over and keeps you dry. Large viewing window in the hood give the side view.